Inspiration for BUTTERFLIES came from Henry's visit to the Butterfly gallery at Sungapore airport. After turning and hollow forming, the top was shaped and divided into three sections, the idea coming from a gum nut. 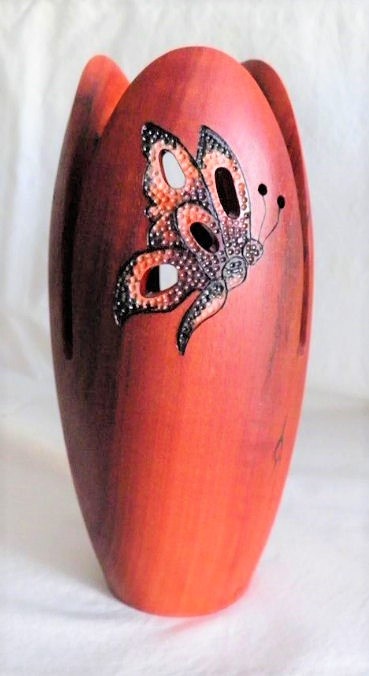 Each butterfly was pierced, textured, painted with acrylic paint and hylighted with a pyrography pen. The timber used came from a discarded fence post.